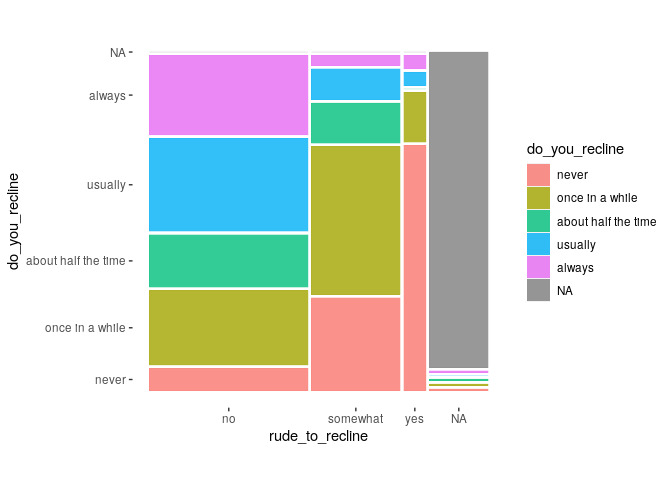 Mosaic plots in the 'ggplot2' framework. Mosaic plot functionality is provided in a single 'ggplot2' layer by calling the geom 'mosaic'. ggmosaic was designed to create visualizations of categorical data and is capable of producing bar charts, stacked bar charts, mosaic plots, and double decker plots. Because a mosaic plot is constructed hierarchically through alternating spines, the ordering of the variables is very important.